Here comes another Dubliner, but first I want to remind you to look at the new rewards on de Selby’s crowdfunding page. We’ve just got to get another 19% in the next seven days, so please share this with your Joyce-loving friends! Similarly to many of Joyce’s stories, “Clay” sits in an uncomfortable position somewhere between mockery and compassion, in this case for a somewhat simple-minded old spinster, perhaps modelled on the protagonist of Flaubert’s short story, “A Simple Heart”. 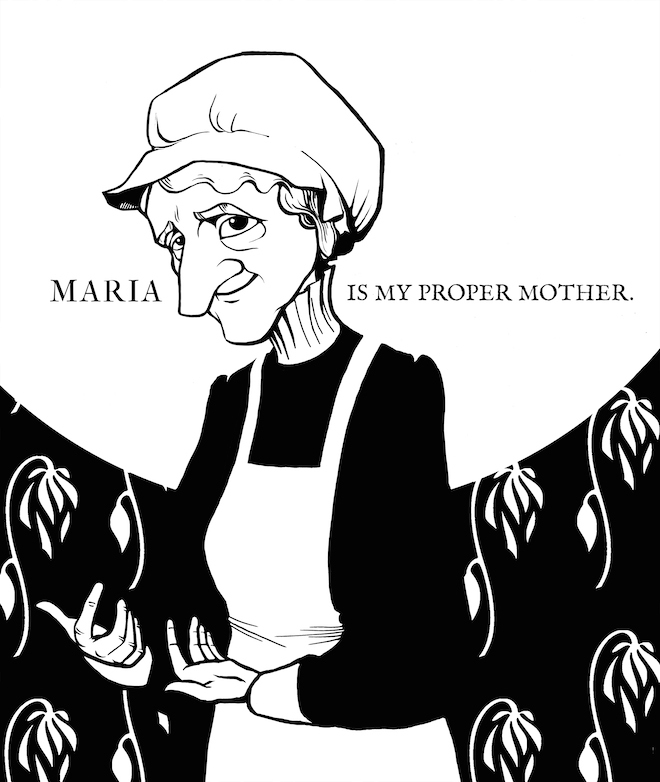 With her ironic name and her caricatured description (when she laughed, “the tip of her nose nearly met the tip of her chin” – think of that next time someone labels these stories “realistic”), Maria is a living parody, but one that evokes genuine emotion in the reader, especially by the end of the story. I wanted to imitate that by presenting her in a pastiche of an Orthodox icon, but while playing it straight enough that she retains her dignity.